Beng Mealea TempleBeng Mealea is a spectacular sight to behold. 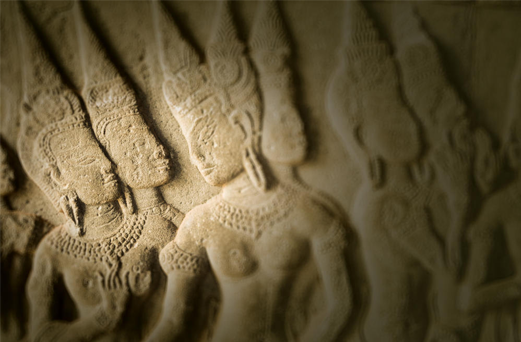 It’s one of the most mysterious temples at Angkor, as nature has well and truly run riot here. Built to the same floorplan as Angkor Wat, exploring this titanic of temples is Angkor’s ultimate Indiana Jones experience. The temple has been utterly subsumed by jungle, and standing just a few metres away from the south, visitors wend their way over lies of masonry, through long dark chambers and between hanging vines to arrive at the central tower, which has completely collapsed. Hidden away among the rubble and foliage are several impressive carvings, as well as a well preserved library in the northeastern quadrant. The temple is a special place and it is worth taking the time to explore thoroughly. There is also now a large wooden walkway to the centre, constructed during the filming here of Jean – Jacques Annaud’s Two Brothers (2004) Beng Mealea is at the center of an ancient Angkorian road connecting Angkor Thom and Preah Khan in Preah Vihear Province. A small Angkorian bridge just west of Chau Srei Vibol temple is the only remaining trace of the old Angkorian road between Beng Mealea and Angkor Thom; between Beng Mealea and Preah Khan there are at least 10 bridges abandoned in the forest. This is a way for extreme adventurers to get to Preah Khan temple; however, don’t undertake this journey lightly. Beung Mealea Temple lies at the foot of Phnom Kulen’s eastern extreme, about 70 kilometers from Siem Reap provincial town. It takes two to three hours to get there via either Banteay Srei of Dam Dek on National Road 6. It is the most accessible of Angkor’s lost temples, a mirror image of the mighty Angkor Wat, but totally and utterly consumed by the jungle. Constructed by King Suryavarman II (AD 1113-1150), the builder of Angkor Wat, nature has triumphed here, and it is hard to get a sense of the monument’s shape amid the daunting ruins. Like Angkor Wat, Beung Mealea was enclosed by a large moat, which would have measured 1,200 by 900 meters. Once inside the complex, visitors climb over heaps of stones, edge along dark and damp corridors and through dense foliage-this is not one for the fainthearted. The atmosphere, however, is something special. Beung Mealea can be combined with a visit to Banteay Srei and Kbal Spean or Phnom Kulen. Food and drinks are available near the temple.